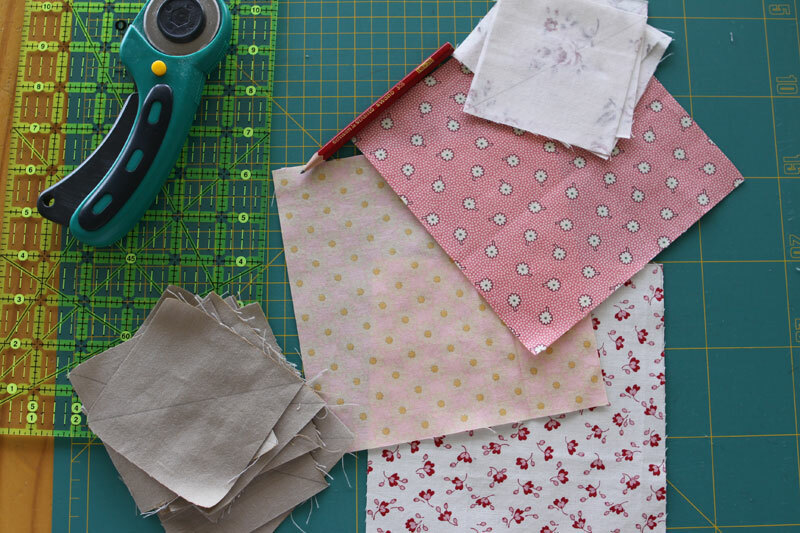 Preparation of a baby girl quilt, as shown in this tutorial. 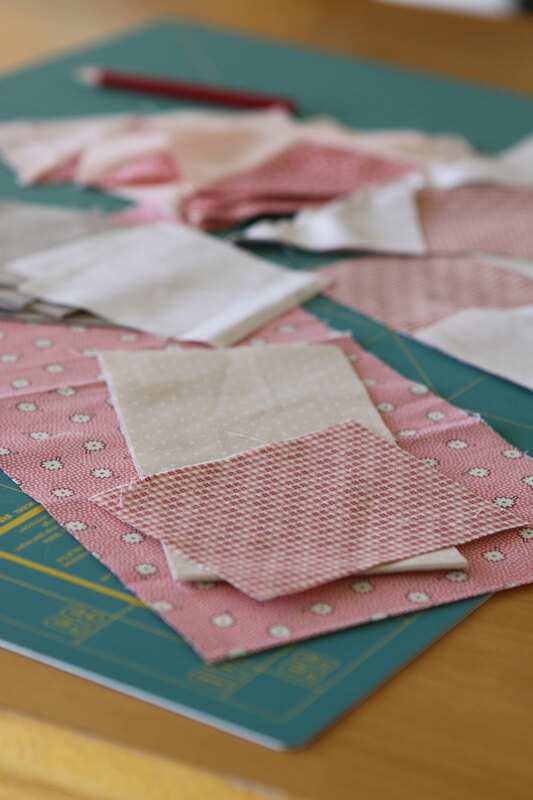 I selected soft tunes of variegated pinks, and neutral hues of beige, from taupe to white. A few days later : a first attempt to organize my blocks on the design board. Thank you so much for your visits! That's lovely. Looks like cherries and chocolate to me. Yummm! So pretty! I need to make a baby boy quilt, you have given me some inspiration! Love the pinks and you have just the right amount of contrast...looking good! so soft and sweet! perfect for a baby girl. she will love it! This will be gorgeous. I love this color combination! Nice to Look at the different fabrics and colors combination ! It's going to be lovely! Love your color choices; so perfect to welcome a baby girl. 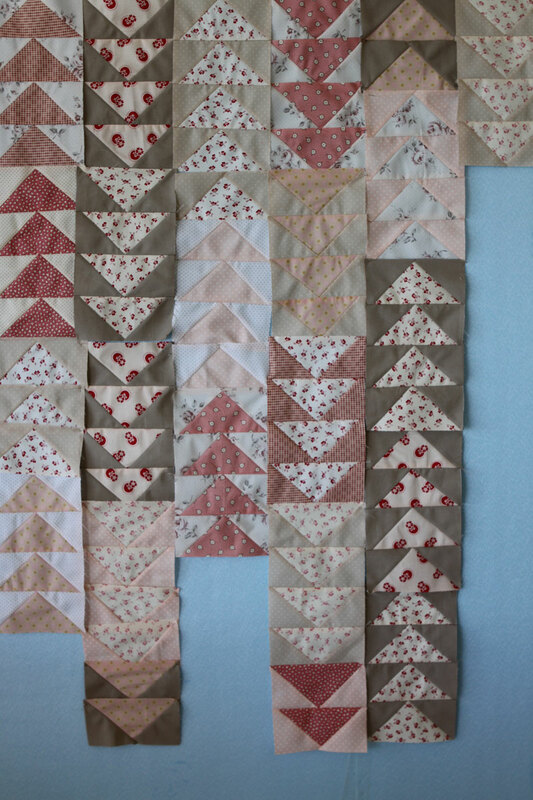 This is going to be such a lovely quilt! You have chosen beautiful fabrics! You colors in the geese quilt are lovely! Visiting from Anything Goes Mondays. I LOVE this quilt! Perfect fabric choices! way, way cute little flying geese. This quilt will be lovely! So pretty, cant wait to see it complete. 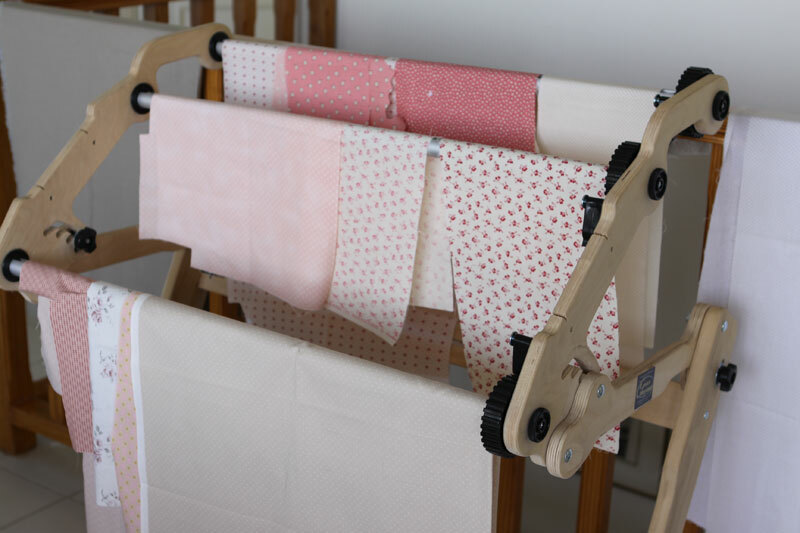 I like that you hang your fabric on a rack...It's a good idea. What kind of rack is it? 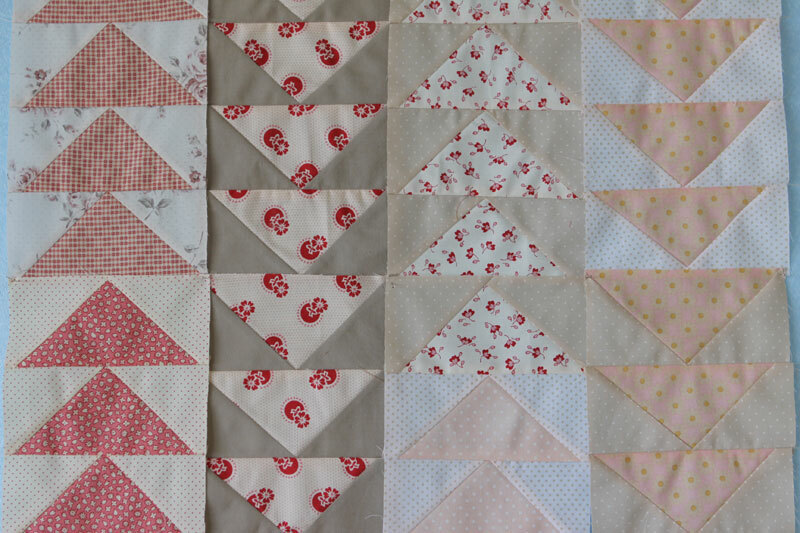 Such soft and pretty colours for a sweet baby quilt, Christine. Love the background fabrics you chose. They really highlight those pink geese nicely! Christine, I am in love with your color palette and the fabrics you chose for this beautiful quilt! I'm sew glad that I followed your link from Let's Bee Social, because now I can take a peek at some more of your work! You have beautiful hands and a beautiful touch on fabric.. I swear I try and try to keep things simple and they come up colorful.. I've just gone through several of your tantalizing posts. I love your simplicity of description in each post. Your quilts very appealing and gave me ideas for quilts for my newest grandbaby to be born in January. Thank you for your tutorials too; I know I will use them in the future. Your posts are like potato chips, you can't read just one; I am following you now.